Minivans are the smalllest, and most specified vehicle class out there. That can make it hard to afford a brand-new model, as price can be an issue. That’s why we recommend one of these pre-owned minivan options. The quality is not lost on these reliable pre-owned minivan models; however, the price is greatly reduced over the new cost. It seems that many minivans are purchased and used temporarily, as families look for the right option for those years when the kids are all smaller, and then transition to SUVs when those kids are bigger. 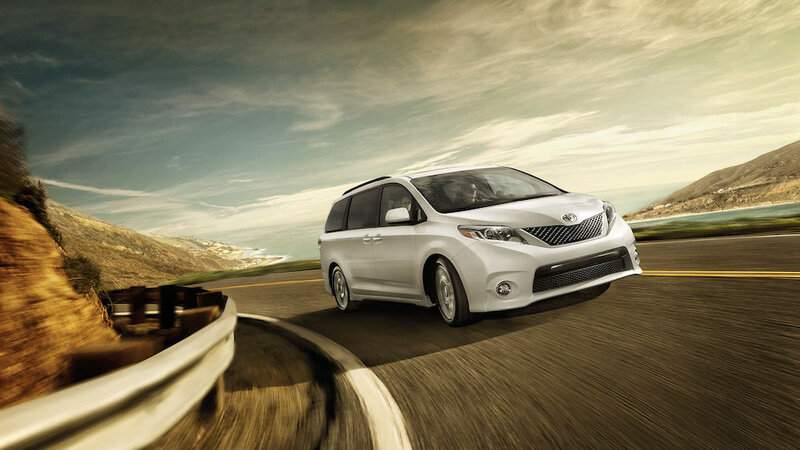 If you’re a family man or woman, you might already know the value of a good pre-owned minivan. The space for your whole crew, the storage for all of their stuff, and all the bells and whistles to keep everyone occupied on those long family trips is what has made the minivan one of America’s most popular vehicles for decades. Perhaps you’re already a convert, in search of your new family hauler. Maybe you’re looking for your first minivan as your brood outgrows your sedan or compact crossover. While any new vehicle offers a few big upsides, the overwhelming majority of data and information available tells us that a buying pre-owned minivan gets you much more bang for your buck and will far outpace any new vehicle when it comes to value. Here we’ll take a look at just a few of the most affordable and highly-rated pre-owned minivans on the market today. When it comes to value, few makes can beat a Toyota. Look around on any street or highway in America and you’ll likely see an old Toyota, two decades or more, running just fine. That’s because when they’re maintained right, a Toyota will just about run forever. Which is what makes a pre-owned Toyota so desirable. Just because it’s a ten-year-old van with 50k or more on the odometer doesn’t mean it won’t run like brand new, which is why you should definitely look into buying a Toyota Sienna for your pre-owned minivan. Much like Toyota, Honda makes vehicles that can just about run forever if you treat them right. Finding a well-maintained and clean Odyssey for not a lot of scratch isn’t a problem either, as these have been some of America’s most popular minivans since they were unveiled in the mid-90s. And the best part about the Honda Odyssey is how they still maintain a cool look with a ton of style despite being known as a family hauler. From their top of the line tech to their impeccable running ability, you might not find a better ride for less than the Odyssey. Arguably the granddaddy of all minivans, the Dodge Grand Caravan has been a staple of the American family life since it rolled out of the factory in all of its wood-paneled glory nearly forty years ago. Much like the Sienna, there’s a reason you’re likely to see a Grand Caravan on almost every highway in America. These minivans have always been sturdy, reliable, American-built family machines. Today, the Grand Caravan has a much cooler look to go with its powerful engine options and luxurious interior. Combined, all of those things might make you forget that you’re driving around in a pre-owned minivan. But then again, why would you want to do that?